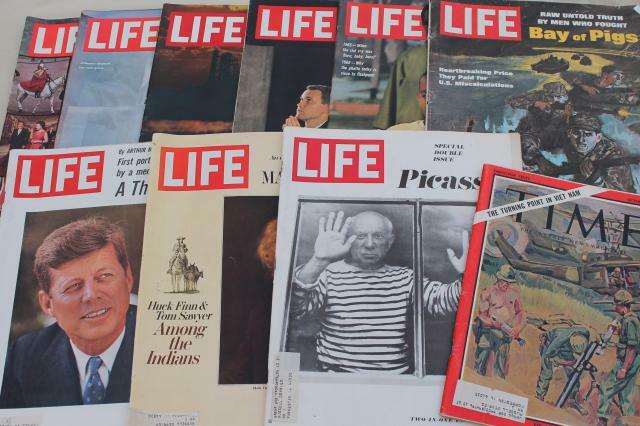 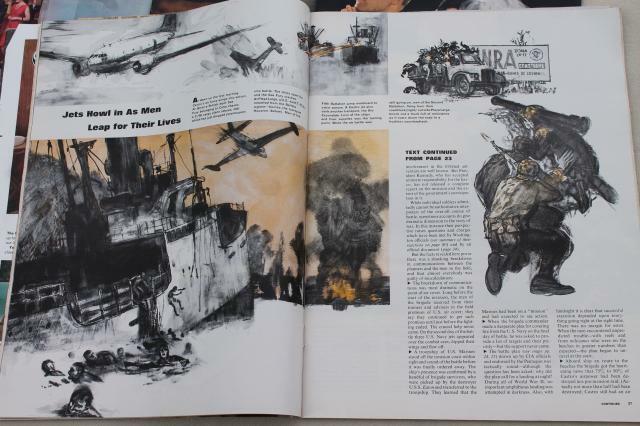 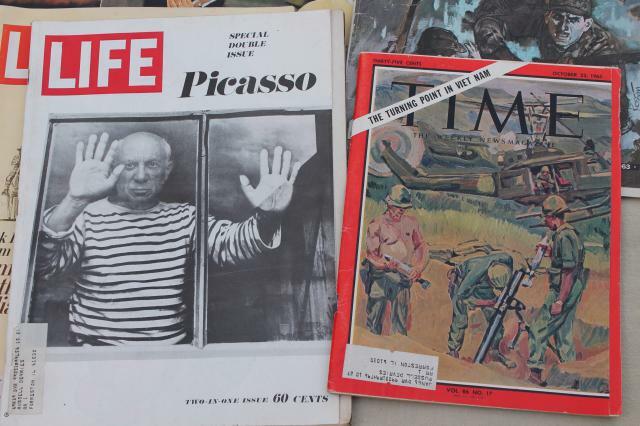 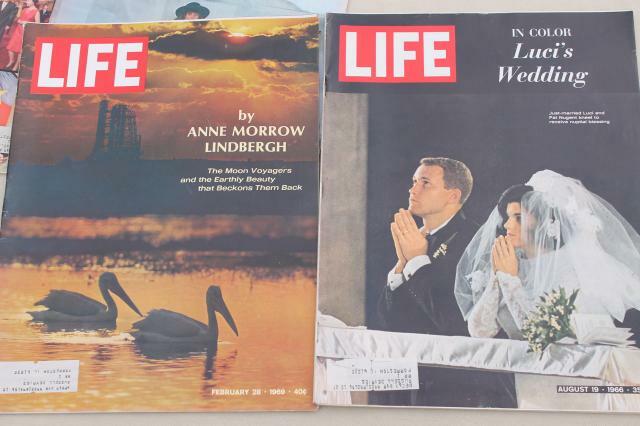 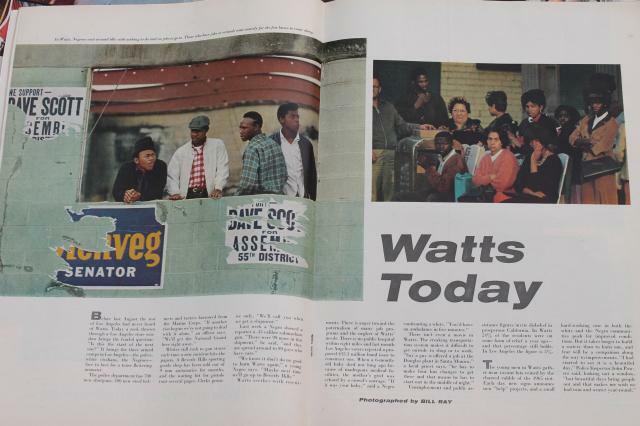 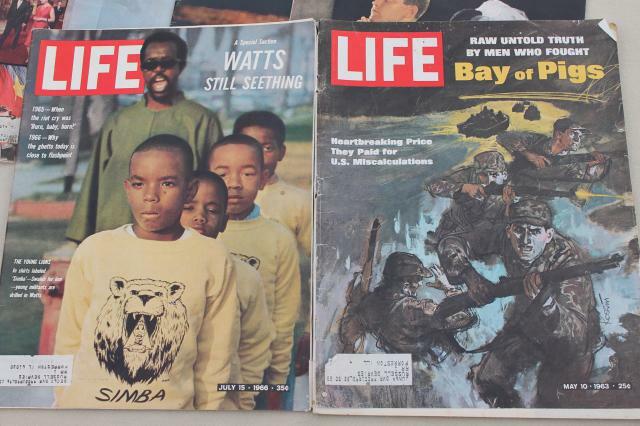 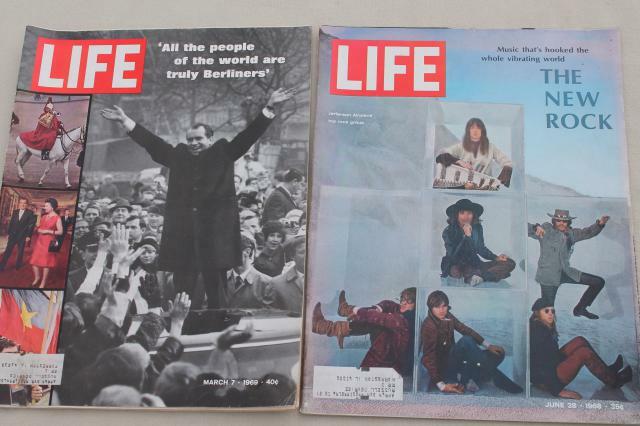 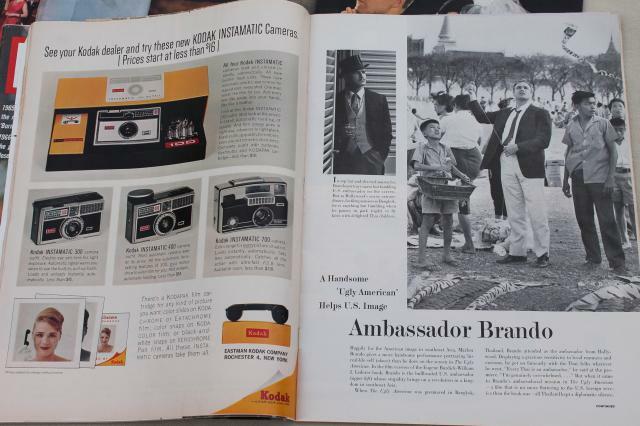 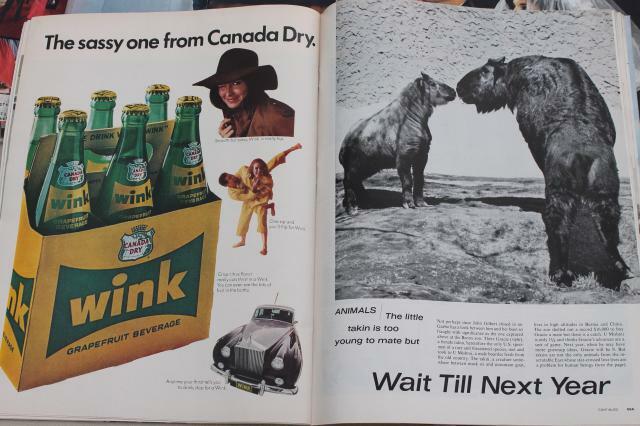 Lot of nine 1960s vintage Life magazine issues with vintage advertising etc.. Magazine cover stories include Picasso, The Bay of Pigs invasion, Watts, JFK and more. 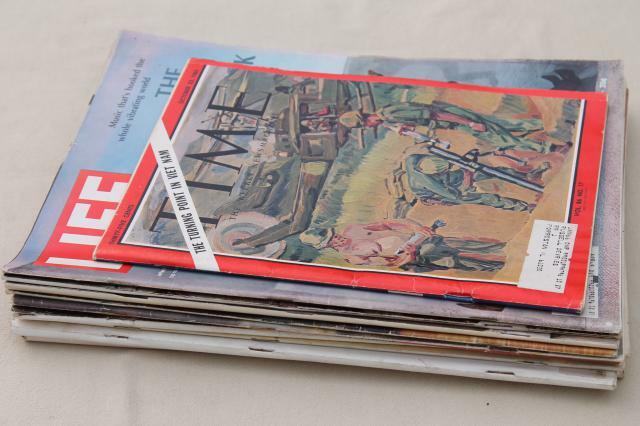 There's also a single Time magazine about the Vietnam War in this lot. 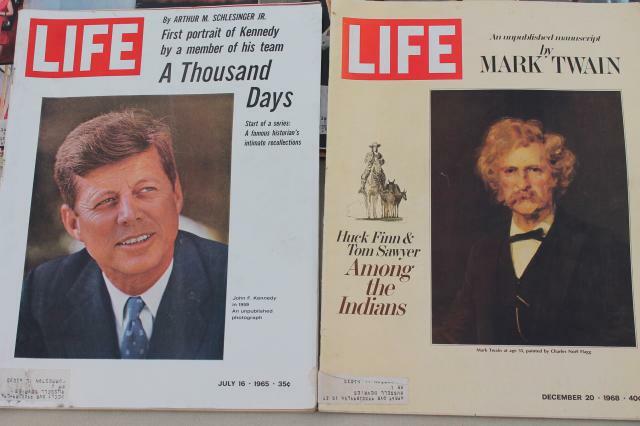 These magazines have some soil and wear.